The match started evenly as both side traded goals. 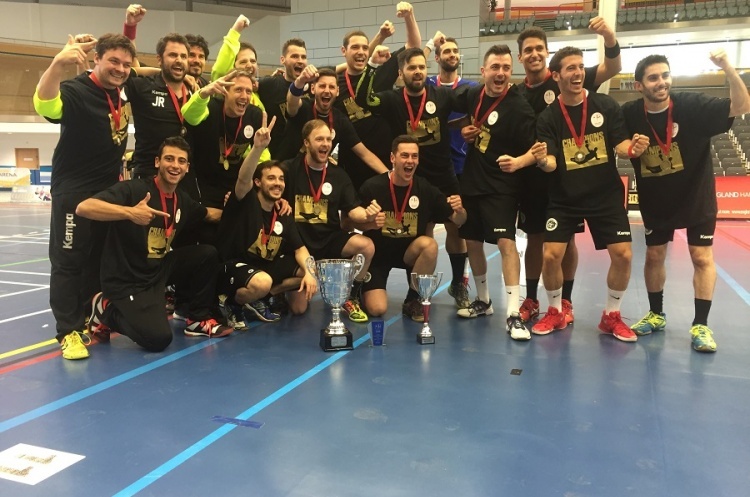 However, Mens’ Premier Handball League champions GD began to take control as an aggressive 6-0 defence bore fruit. Keeper Adriano Stagni also impressed with a number of great saves for the Mens’ Premier Handball League champions – who led 17-12 at half time. Stagni, started where he left off after the break, making more fine saves – including a penalty stop - to frustrate a Hawks side that was missing key players through injury. However, Hawks showed great spirit and a never say die attitude as they continued to press their opponents throughout. Stagni was named Most Valuable Player, while right wing Dan Terracina and Line player Pedro Riberio scored six apiece. Hawks left wing Harry Morley and right wing Jamal Braithwaite both beat the keeper seven times for Hawks.